Multi-level ditch area is a major component of the hydrographic net of plain area, China. Given the high concentration of nitrogen (N) in the surface water and vigorous biogeochemical interactions, ditch is likely to be the hot spots of N2O emission. However, N2O emission flux and emission factor (EF5r) of multi-level ditches have not been determined. To address this knowledge gap, a 1-year field work in three ditches with different levels in Chengdu Plain was conducted. It is found that the annual flux of N2O emission and EF5r was higher in the lateral (0.0020 and 83.94 μg m−2 h−1) and field ditches (0.0019 and 110.75 μg m−2 h−1) than in the branch ditch (0.0016 and 46.38 μg m−2 h−1, P < 0.05). It is found that parameters of groundwater level, discharge, precipitation, and NH4+ were the primary factors, and these parameters can model the N2O flux well. 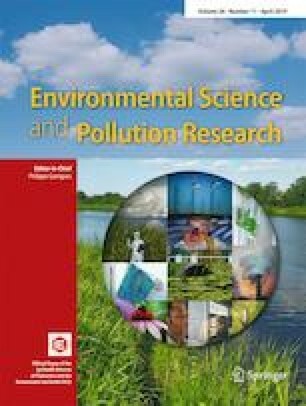 Furthermore, the content of NH4+ in the surface water of ditches presented better correlation with the emission of N2O than the content of NO3−. Therefore, controlling NH4+ emission and lessening fertilizer usage in summer may be key solutions for indirect reduction of N2O in Chengdu Plain. This study was supported by the grant from the Ministry of Science and Technology, National Key Research and Development Plan (2017YFD0200100), the National Natural Science Foundation of China (no. 41701294), and the National Natural Science Foundation of China (no. 41701294).